This week's Top Ten Tuesday theme is Ten Books Every X Should Read. 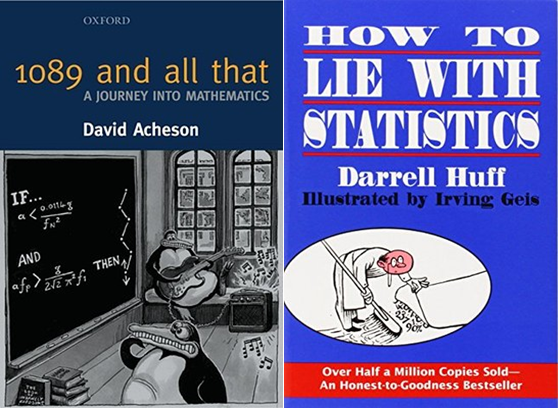 I've decided to go with the theme of non-fiction, which is something I've been reading quite a lot of recently, and I've divided it into three different categories, so you can look at the ones that you're interested in. I've already talked about this in a recent Top Ten Tuesday post (here) but I really did enjoy it and think it should be more widely known. C.S. Lewis' story of his early life and his conversion to Christianity. I read this fairly recently and am really glad I did. It's interesting and thought-provoking and I would definitely recommend it. The (mostly) true story of a family of twelve children growing up in America in the 1910s and 20s. This is a really funny book, and again a great read. This is basically a memoir where the author talks about the her favourite books and the books that have influenced her, at various stages in her life. There's also a lot of information about her life and her Iraqi-Jewish culture interwoven with it, which I found really interesting. This is one of the books that pretty much everyone has heard of, so I don't feel I need to say much about it, but I think that it is a very important book and one that should be widely read. This book tells the history of England from prehistoric times up to the beginning of the Tudors. It's very readable, with lots of interesting parts although it does feel that the narrative gets slightly repetitive at times (such is the nature of history). I'd definitely recommend it if you're interested in history. This is a three-volume series and I've actually only read the first one, but plan to read the others. (I think there is also an abridged one-volume version.) The first book covers a similar time period to Foundation, but is in the form of short chapters focusing usually on a specific person or event. Although it's quite short and doesn't go into much detail about the things it covers, it left me with quite a few interesting people I hadn't come across before and wanted to find out more about, and there is a quite extensive bibliography if you do want to find out more. I liked the concept of this book: it's written as a travel guide for visitors to fourteenth-century England. 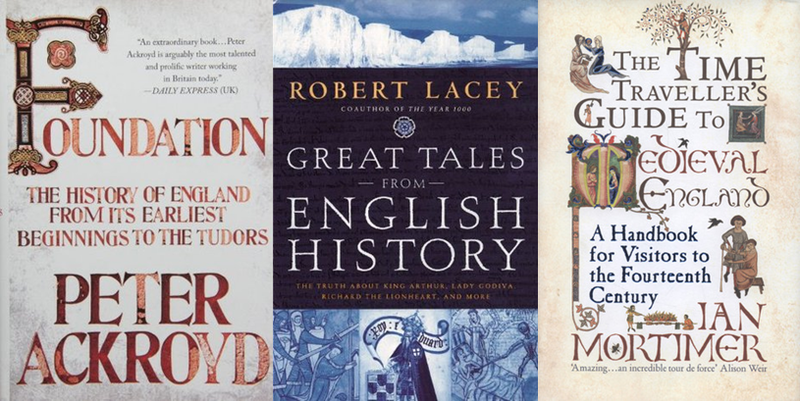 It's very interesting and informative, and focuses mainly on what life was like in the Middle Ages, covering various different topics such as food and drink, travel, entertainment, and literature, rather than just being a history of important people and events (such as the first two books on this list really are). There is also an Elizabethan version of this, which I haven't read, but it's probably worth checking out if you're interested in that period of history. This is another pretty short book, which explains various topics in maths up to around an upper high school level in a way that is easy to understand, including some core topics like algebra and calculus as well as other topics which are just interesting. I would recommend this book if you are in school and struggling with some aspects of maths, or if you just want a good explanation of things you might have forgotten or not fully understood. 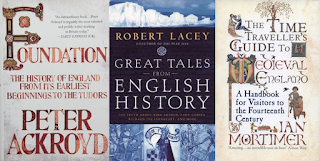 I'm happy to see two books I own are on your list: Foundation and A Time Traveller's Guide to Medieval England. I'm especially excited to read Foundation because it covers so much time!